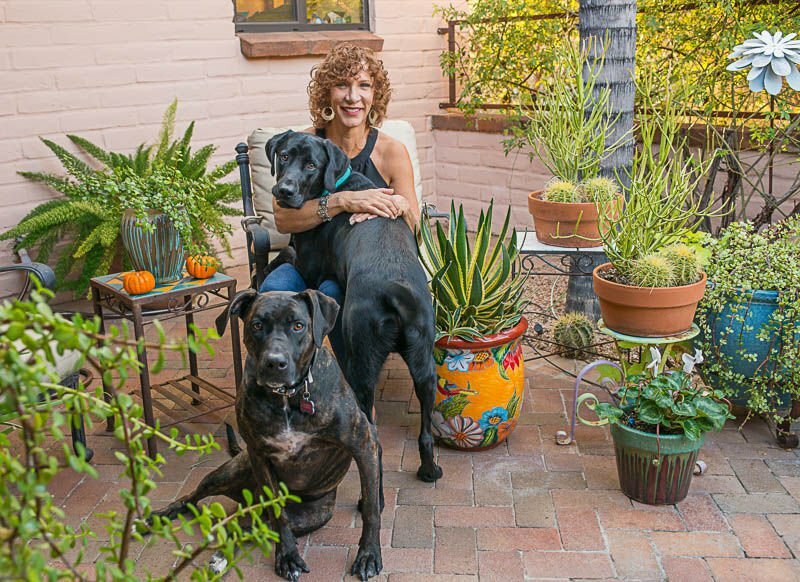 Dawn Fried’s companion books “The Art of Southwest Landscaping” and “Design Build & Bloom” identify plants that grow well here and cover landscaping, irrigation, pruning and fertilizing. “Design Build & Bloom” takes readers from concept to maintenance. “The Art of Southwest Landscaping” discusses nearly 800 plants. While you and your plants are dealing with the heat, here is some reading material to get you excited for the next big planting season and beyond. The subtitle of this recently released book, “Over 100 Flowers and Vibrant Plants for Drought, Desert & Dry Times,” (2018, Sasquatch Books, $23) may be the perfect book to read during Tucson’s driest months, May and June. Author Maureen Gilmer, a resident of the Palm Springs, California, area, admits she has never visited Tucson, but she knows of hot weather. The informed Tucson gardener will find that the book mentions several familiar plants that do well here, including feathery cassia (Cassia artemisioides), deergrass (Muhlenbergia rigens), bird of paradise (Caesalpinia gilliesii) and penstemon. Gilmer, author of 18 gardening books, uses her 40 years as a landscape designer to describe each plant in her new book. They are categorized under chapters dealing with flowering shrubs, low plants, accents, seasonal color, perennials, animated and textured plants, trees and edibles. A table with each plant provides information on maturity size, sun exposure, planting zone, bloom season, growing region and flower color. For each entry, Gilmer describes the plant’s growing habits and its virtues and drawbacks in the garden. She also often suggests alternate species, hybrids and varieties. The book includes sections on changing a garden from high-water use to arid-friendly, determining microclimates, using landscape rock, planting wildflowers and creating landscape designs. As a designer who works mainly in California, Gilmer runs across the same educational need as those who work with new Southern Arizona residents. Dawn Fried has compiled 38 years of experience with plants into two books, one of which is expected to be released this summer. Fried, co-owner-and-founder of Horticulture Unlimited Inc. describes “The Art of Southwest Landscaping” as an “encyclopedia” of nearly 800 plants that grow well in Southern Arizona, as well as in parts of Texas, Nevada and New Mexico. It originally was going to be part of her first book, “Design Build & Bloom: Creating the Perfect Southwest Landscape” (2017, Page Publishing Inc., $23). Instead, she was persuaded to turn the advice and recommendations into two companion books, she said. Fried had her clients in mind when she starting writing. “A homeowner will really get a lot out of it,” she adds. “Design Build & Bloom” is a 237-page paperback that takes readers from concept to maintenance of a Southwest landscape. Chapters cover landscaping, irrigation, flowering plants, container gardening, lawns, pruning, fertilizing, weeding and composting. a chapter detailing the use of decorative rocks and boulders. suggestions of specific varieties of citrus to grow. when to harvest as well as when to plant edibles. a chapter on recognizing and recovering from frost damage. photos of insects and pests that help identify a problem. a chapter on repairing gardening tool engines such as in lawn mowers and trimmers. The upcoming book has 10 chapters that group plants by use and type, such as desert accent plants, cactus and succulents, shrubs, trees and vines. Fried’s lists include natives and non-natives. Both books have taken a long time to publish as Fried squeezed in writing, photography and production between designing landscapes and running the company. Pima County master gardeners have released the fourth edition of their popular “The Tucson Garden Handbook” (2018, Pima County master gardeners, $10). The 86-page spiral-bound guide is largely unchanged from the third edition. There is more information about master gardener activities. It also includes several pages that can be used as templates for a garden journal. Award-winning garden writer Jacqueline Soule contributed four chapters of “Gardening Complete: How to Best Grow Vegetables, Flowers and other Outdoor Plants” (2018, Quarto Publishing Group USA Inc., $30). The hardcover 376-page book is a general guide to gardening and is not directly targeted to Southwest conditions. Soule wrote about watering, fertilizing, pruning, propagating and vertical gardening. Other writers whose works are published by Cool Springs Press covered botany, design, composting, weeds and pests, harvesting edibles, watering and other topics. Contact freelance writer Elena Acoba at acoba@dakotacom.net. • Monitor your plants carefully in the morning and evening for evidence of wilting or other signs that you need to water more. • Water established non-native cacti once a week. Established native cactus should be watered at least once a month. Cacti in containers may need to be watered twice a week. • Plant vinca in full sun. Plant begonia, impatien, coleus, scaveola and kalanchoe in the shade. • Sow seed for cosmos, sunflower, tithonia and zinnia. • Prune trees and shrubs to remove dead branches or areas that affect the growth or shape of these plants. • Feed roses and lawns. Consider placement, usage before determining which kind of grass is right for you.